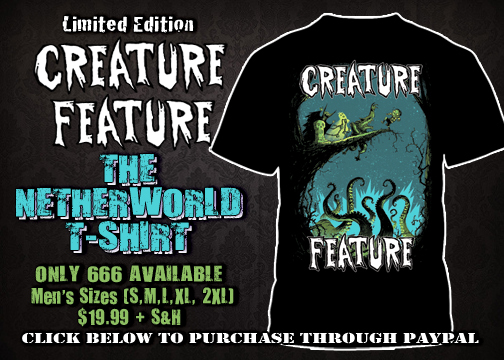 Brand New Limited Edition ‘The Netherworld’ T-Shirt! 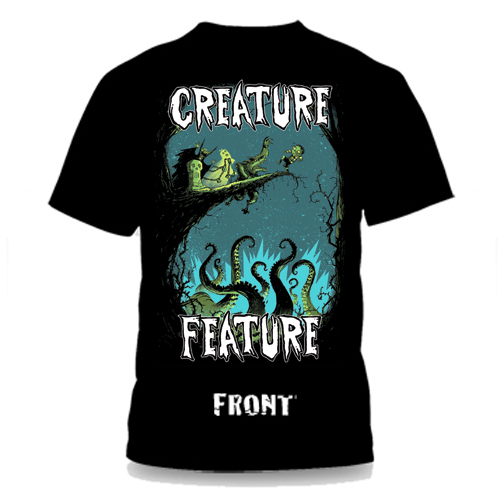 I’m pleased to announce our brand new ‘The Netherworld’ themed limited edition T-shirt. Based off our previous single, it depicts an unfortunate child who just happened to stumble upon the entrance to the Netherworld through the hungry mouth of an open grave as monsters close in behind him ready to give him a push. The shirt is single sided and limited to only 666 pieces. They are $19.99 (plus shipping & handling) and come in mens sizes: Small, Medium, Large, X-large, & 2X). Artwork by the amazing Thomas Boatwright. Please note that this is a pre-order and all shirts will be shipped on the last week of June. Click the links below to order your shirt today through Paypal.